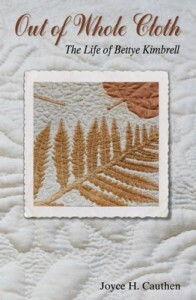 This website presents quilts described by Bettye Kimbrell (1936-2016) in the book Out of Whole Cloth: The Life of Bettye Kimbrell, by Joyce Cauthen, published in 2013. To see the quilts discussed in the book, readers may go to the “Quilts,” section of this site and find them via the search box, by the chapter they are in or by the type (i.e, patchwork, trapunto, etc. ). 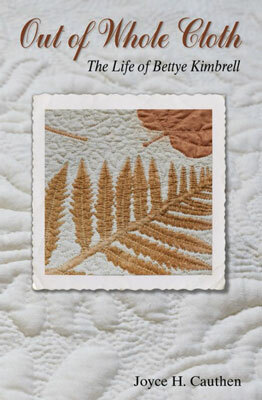 Of course, one does not need to read the book to see the hand-stitched quilts shown within. Bettye Kimbrell was dedicated to hand-stitching, an art she made every effort to preserve. Click each image to enlarge it and see the amazing stitches (18-20 per inch) that give it a texture that is as important to the quilt’s beauty as the central design.